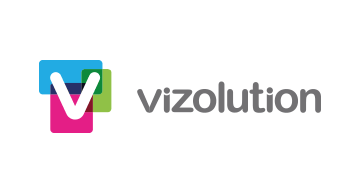 Vizolution is a market-leading technology company that helps enterprises replicate the qualities of face-to-face interactions in their remote channels, streamlining their complex journeys into effortless customer experiences. Our omni-channel digital suite allows customers and agents interacting over phone, web chat or app to share, display, exchange, complete, verify and sign documents as if they were face to face, and works without requiring customers to download any software or apps. Used by 28 global enterprises from the financial services, telecoms and utilities industries, including HSBC, Santander, RBS and Telefonica (O2), our patented SaaS solutions typically deliver over 40% increase in sales conversions, 50% reduction in transaction times, high levels of customer satisfaction (>80 NPS), improved compliance and reduced costs. Vizolution is an award-winning, hypergrowth CX-tech ranked on Deloitte Fast 500 EMEA, FT1000 Europe and Inc. 5000 Europe. We have received awards for customer experience innovation, including from the Institute for Customer Service Awards, the UK Digital Impact Awards and the Professional Planning Forum.